Field hockey was introduced at the Summer Olympic Games as a men’s competition at the 1908 Games in London, with six teams, including four from the United Kingdom of Great Britain and Ireland. Field hockey was removed from the Olympics at the 1924 Paris Games due to the lack of an international sporting structure. The International Hockey Federation (FIH, Fédération Internationale de Hockey) was founded in Paris that year as a response to field hockey’s omission. Men’s field hockey became a permanent feature at the next Olympic Games, the 1928 Games in Amsterdam. For a long period of time, India dominated the Olympics, winning the men’s gold medal in seven out of eight Olympics from 1928 to 1964. Later,Pakistan was also dominant, winning three gold and 3 silver between 1956 and 1984. Since 1968, various teams from around the world have seen gold-medal success at the Olympics. 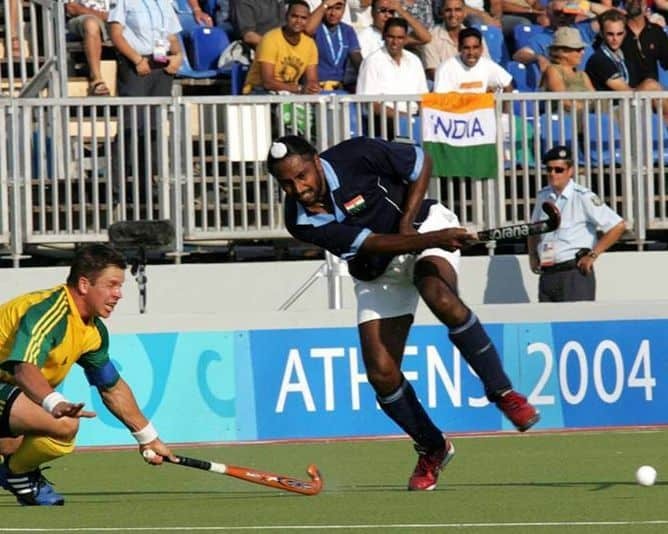 Since 1968, several countries in the Southern Hemisphere have won various medals in men’s and women’s field hockey, including Australia, New Zealand, Argentina, and Zimbabwe. A leading group of teams from the Northern Hemisphere has come from the Netherlands and from Germany. 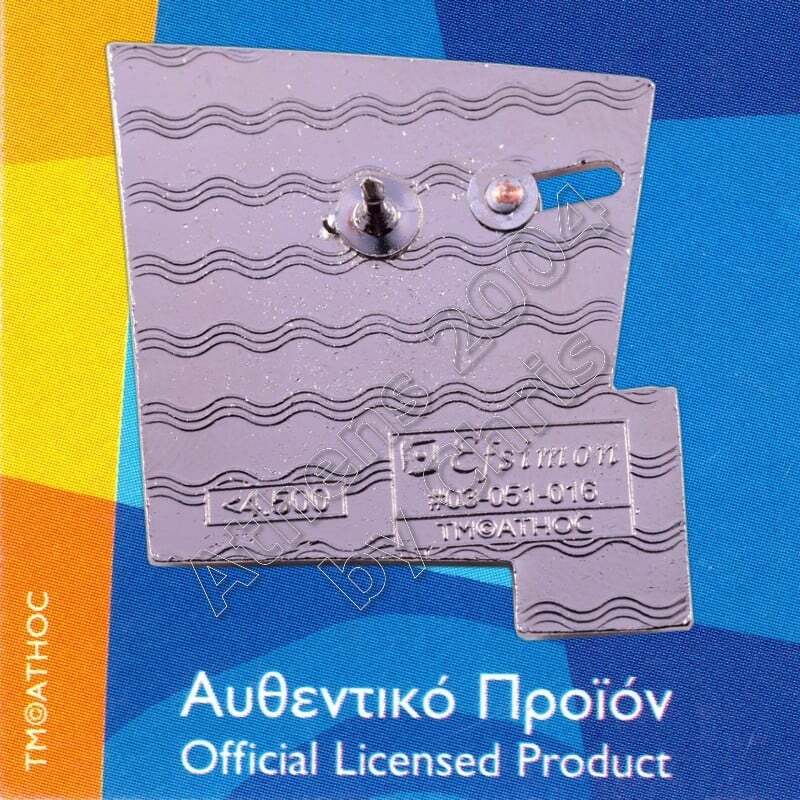 Currently, Spain has appeared in the most Olympic men’s competitions without successfully winning the men’s gold medal, having won silver three times in 1980, 1996, 2008 and bronze once in 1960. Australia previously competed in 11 Olympics without winning gold before breaking their streak in 2004. 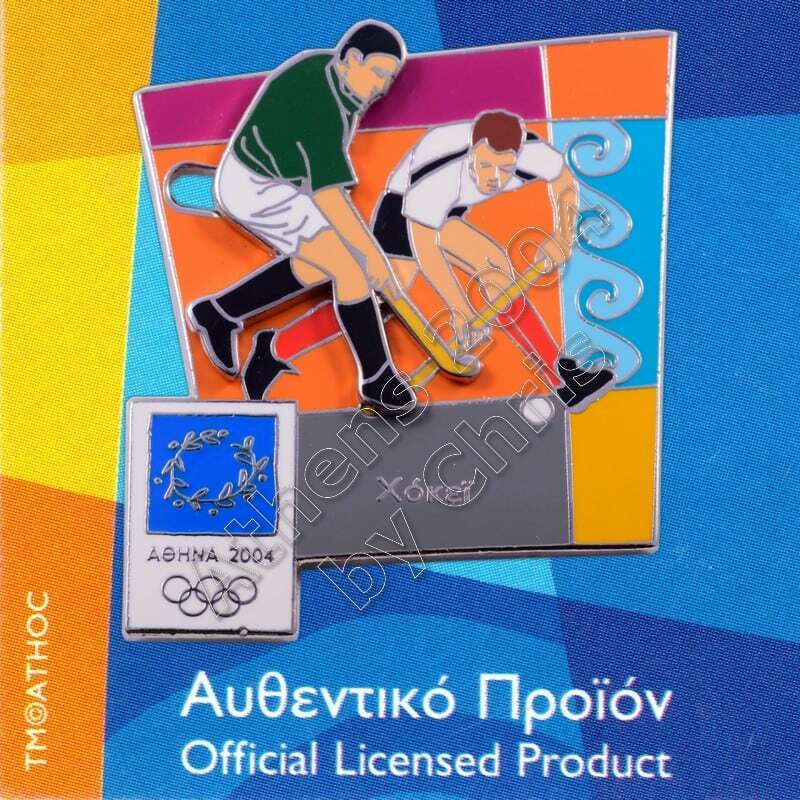 The first women’s Olympic field hockey competition was held at the 1980 Summer Olympics in Moscow. 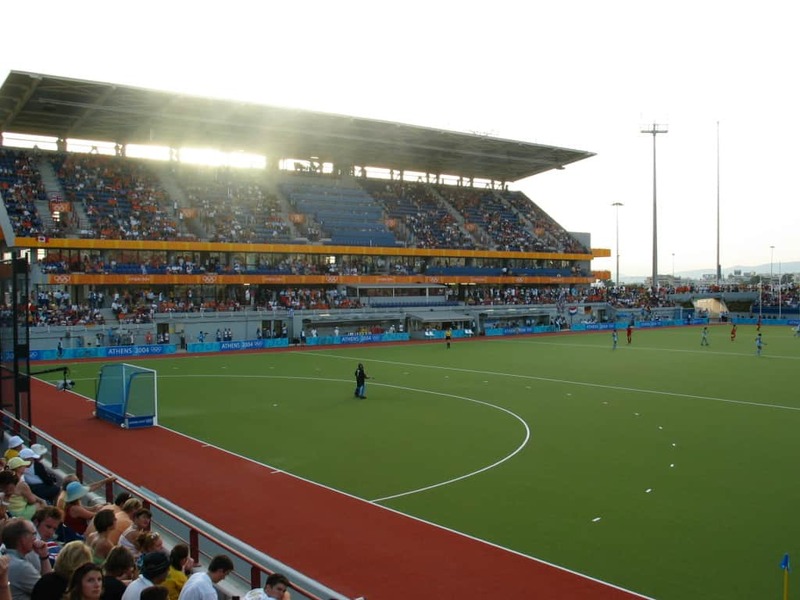 Olympic field hockey games were first played on artificial turf at the 1976 Montreal Olympic Games. Before 2016 games were played in 35-minute halves; now they are played in 15-minute quarters. 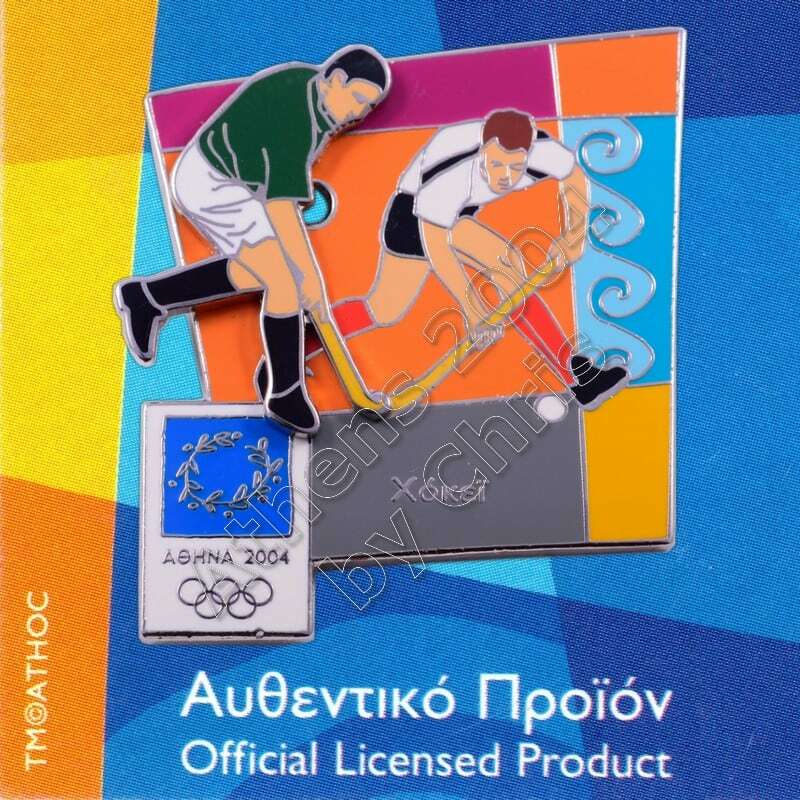 The pin depicting the Hockey sport in action – the athlete in moving on the surface of the pin.